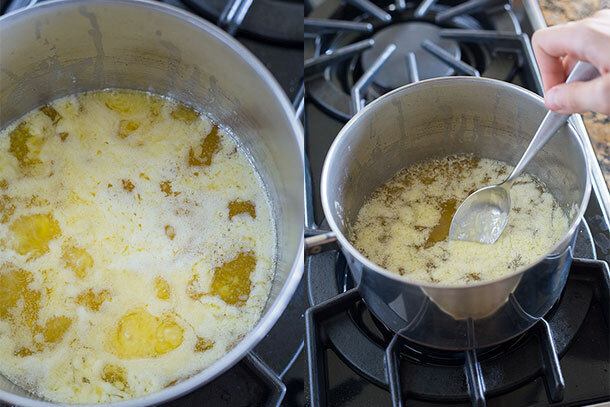 I recently have been rather obsessed with using ghee for a lot of my higher heat cooking. Now I know the name ghee might sound odd or unusual but it’s actually just one of the many names for clarified butter. Clarified butter is what you get when you seperate the milk solids and water from butter leaving only the pure golden butterfat. This allows you to cook at a higher heat for a longer period of time without having to worry about it burning. 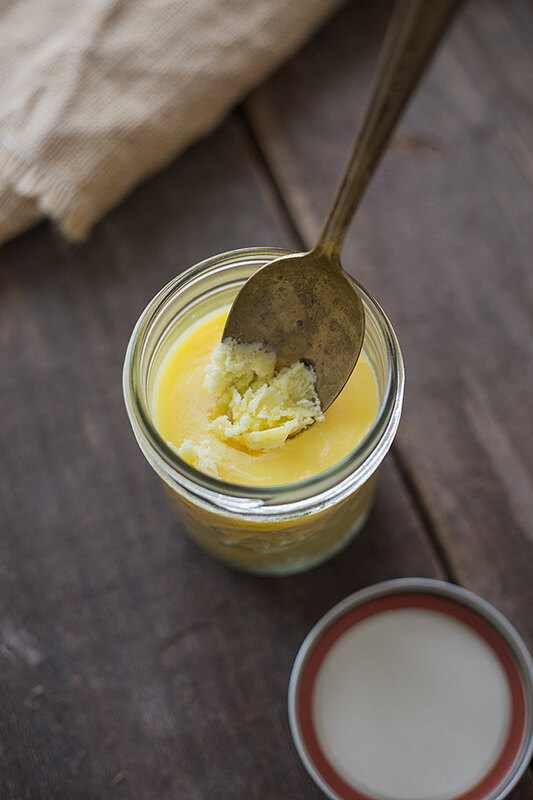 Because ghee is also just butterfat and mainly saturated it has a fairly high smoke point, making it quite useful for high heat cooking such as searing or roasting for a long period of time. 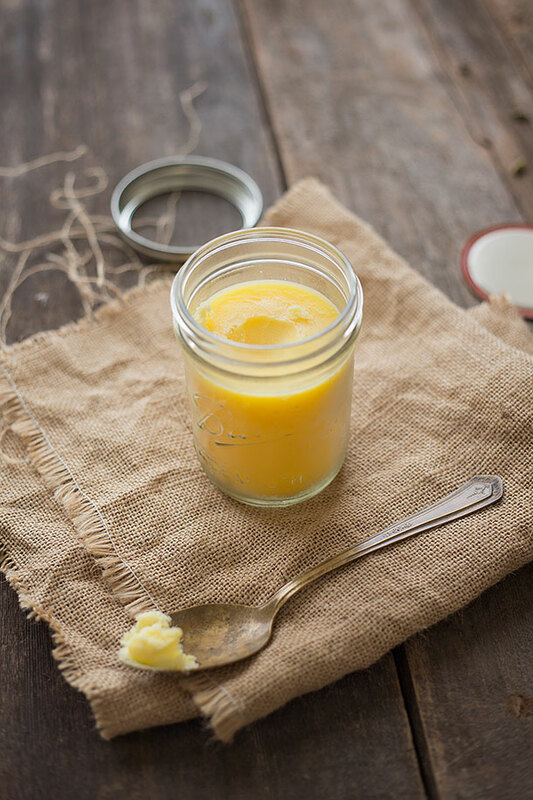 Ghee has a gorgeous flavor and aroma that is actually quite similar yet different to butter. While it still has that buttery smell and taste it has a slight sweetness that makes it’s taste slightly different to that of butter. It also has a much lighter tone to it making it slightly less intrusive as a flavor than butter. Then again an intrusive flavor of butter doesn’t really ever bother me to be honest. For people who have a dairy intolerance though ghee might be a good choice if you are missing that buttery silkiness upon your palate. Seeing as I don’t have a dairy intolerance I do eat grassfed butter when I want to but I also love to cook with ghee when I’m roasting something at high heat or searing something where butter cant really be used. When you’re making this you have to try to keep yourself from tearing up because of how angelic it looks when you’re pouring it. And yes it is absolutely worth tearing up over. Mainly for two reasons, the first reason being how gorgoues it smells. I was litterally standing over the sauce pan wafting the smell and staring longingly into the golden elixir while it was bubbling away for a good 5 minutes until the trance was finally broken by a text message. The second is the awe inducing, golden shimmering liquid flowing into the bowl. I’m not even exaggerating, it was quite surprising how brightly golden it was when I poured it in it’s liquid state to store it. Just be sure when you’re making this to not skimp out on your choice of butter because not all butter is created equal. That goes for both health and taste aspects. Grassfed butter is just better in every way there is simply no way getting passed that. It flavor depth is much deeper and it is much more fragrant than regular butter and it has much more nutritional benefits to reap than the standard old butter. 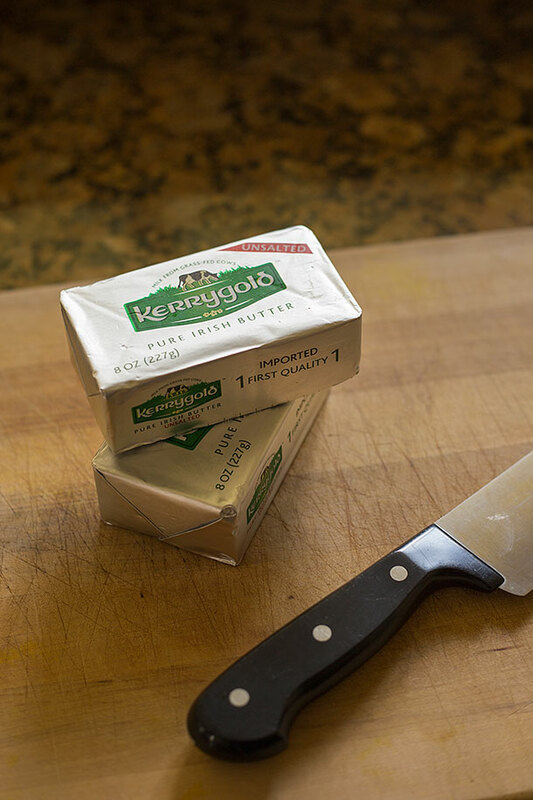 Lucky for me my favorite brand of butter Kerrygold is sold everywhere around here so look out for it next time you’re out. It’s made from 100 percent grass fed cows from Ireland so they’re also lucky. Lame joke but my point is that grassfed is always better in my opinion. That may be a slightly biased and redundant thing to say seeing as any type of ruminant animal/animal product I’ll eat is grassfed but I’m fairly sure the taste would change your mind if you’ve never had it. You would most definitely see a difference in the look of it when it’s done as well. 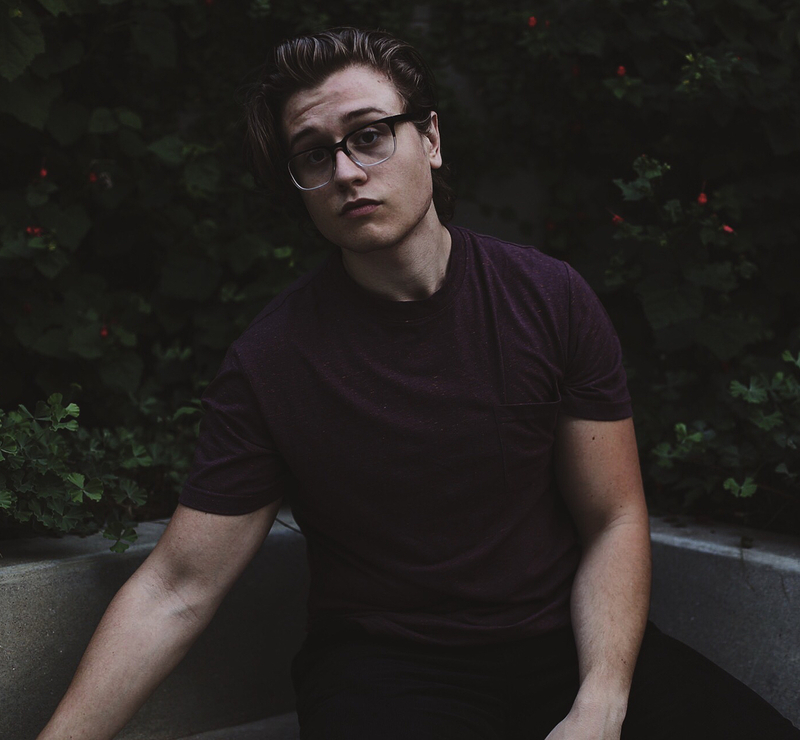 You would be missing that deep rich golden sheen and nobody wants that. Cut the butter into chunks and place in a medium sauce pan and turn the fire on low. 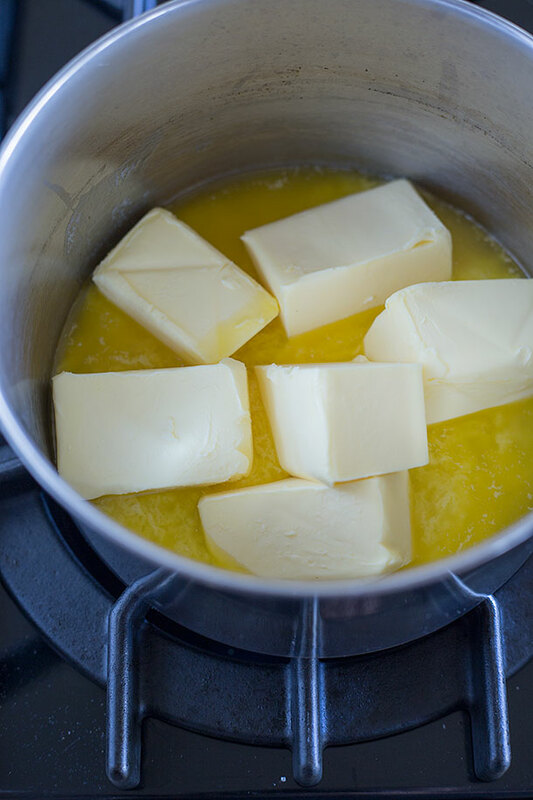 Once the butter has melted let simmer gently until it begins to foam. Every so often carefully scrape off a bit of the foam so you can see to the bottom. As soon as it seems that foam has stopped rising to the top or the milk solids begin to turn light brown and sink to the bottom the ghee is done. 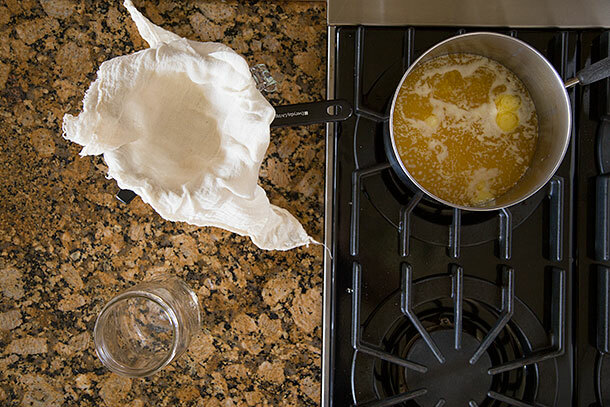 Pour into a heat safe container through a double cheesecloth lined strainer and let cool for a 3-4 minutes before pouring it into a container to store. Mason jars are great for storing this by the way. The amount of butter in this is up to you, you can use as much as you like. Just know that the more you use the longer it may take and the more it will make. And there is one more up side to this, if you don't want to make your own ghee but want some Pure Indian Foods Sells grassfed ghee and you can get it here. 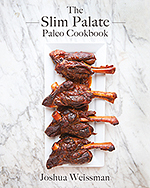 « Mustard Salmon and a Giveaway! If you think the aroma is good..you should try the crusty milk solids left over. HEAVEN! The milk solids can be used for a variety of good things – as a sprinkle over veggies, or mixed with sugar/wheat flour to make sweets. On your instructions 15 minutes seems a little short, but maybe that works if you simmer it. I usually cook mine about 30+ minutes, but I cook it on really low heat / below boil. I thought about putting it over veggies but didn’t get around to it. Next time! I’ve been wanting to make ghee for a while now – this post makes me realize it’s super easy, so thanks for posting! How should ghee be stored?? In the refrigerator, or is on the counter OK?? Well supposedly it keeps on the counter just fine for a few months but I prefer to keep it in the fridge just to be safe. Can you use salted? That’s all I have at the moment. That’s a good question, you should be able to. I’ve heard from other people making it with salted and it turning out just fine so I would say yes probably. I just prefer to use unsalted when it comes to making ghee because I remember reading somewhere that it foams slightly more with salted but not to the point of any hinderance. I know where you’re coming from, sometimes I layer the sparsely woven ones a lot until it’s like a fine mesh but typically I get my fine meshed cheese cloth from Bed Bath and Beyond. Is there a residue that remains inside the cheesecloth? If so, can it be used for anything? I’m guessing the ghee that you store is the more liquid-y part, and so what exactly are you straining out with the cheesecloth? I’m hoping if it’s more solid, you can spread it on toast or use it to cook/season vegetables (?). That’s the milk solids. 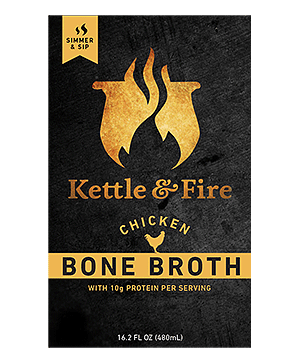 It’s fantastic mixed in a vegetables soup like butternut soup or used on steamed vegetables. Use it as you would butter in terms of flavor addition. Just know that you cannot cook with it.